UK inflation hearings, BOE rate announcement and statement along with BOE Governor Carney’s speech will have a great impact on GBPUSD. 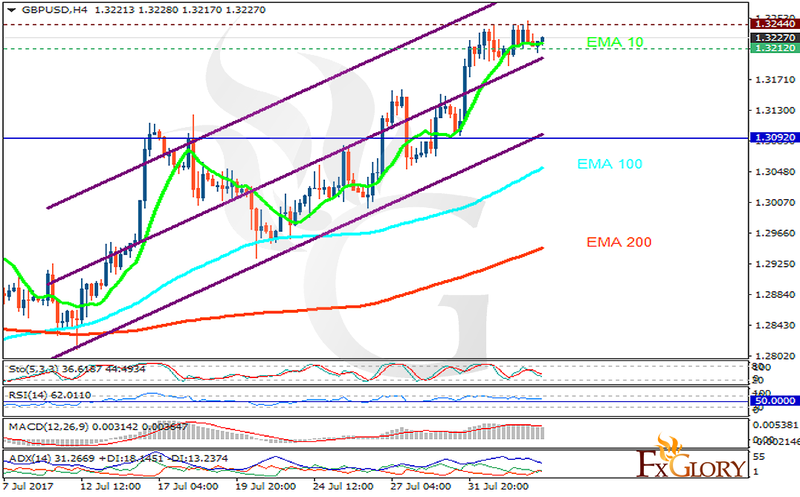 The support rests at 1.32120 with resistance at 1.32440 which both lines are above the weekly pivot point at 1.30920. The EMA of 10 is moving with bullish bias along the ascendant channel and it is above the EMA of 200 and the EMA of 100. The RSI is moving horizontally below the overbought area, the Stochastic is showing downward momentum and MACD indicator is in positive territory. The ADX is not showing any clear signals.